Up until about a year ago I really had no idea what Borax was even used for. My mother never used it and I don't remember my grandparents ever using it but I thought wow it has been around forever it must be useful for something right?? I found out that it could be used to make homemade laundry soap and I tried it out. 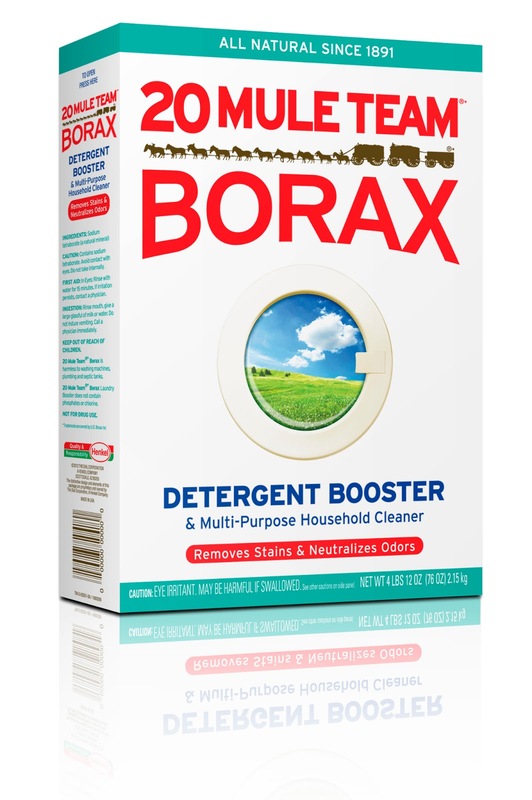 I now LOVE making my own laundry soap and with the help of Borax my laundry gets cleaner than any commercially bought soap I have ever bought. It helps fight stains, removes odors and softens your hard water so that your clothing lasts longer. 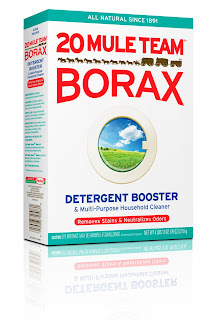 The best part to me is that Borax and their 20 Mule Team are all natural. I you are interested in starting to make your own laundry soap you can check out the recipe for liquid soap HERE and powdered soap HERE. Not only will you have a better clean but you will save money in the process. This stuff is amazing, I think you can use it for everything. We use it all the time but what shocked me most was using it to get rid of fleas. Love this stuff and will ALWAYS have it on hand at my house.